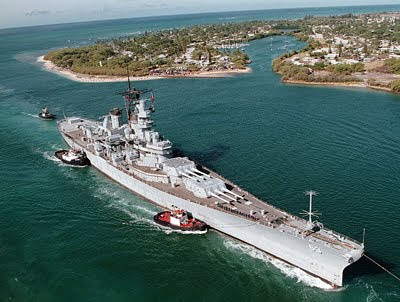 Tomorrow morning will present an unusual sight off Ford Island in Pearl Harbor: the uncoupling of the battleship Missouri from its mooring opposite the sunken Arizona in the pairing that symbolizes the beginning and end of World War II. A 4-square-mile patch of Maui in the nation's most fossil-fuel dependent state soon will be home to a new kind of power grid, one that saves energy by turning off household appliances when electricity is expensive and makes better use of wind and solar power. Three Royal Hawaiian hotel employees told police they saw a man on top of someone who was kicking on the beach fronting the hotel early Oct. 2, according to court documents. An attorney representing parents of special needs students may ask the court to stop public school teacher furloughs that are to begin Oct. 23. For those wishing to provide “Furlough Friday” activities for the island’s public-school children, one additional hurdle might be state licensing. President Barack Obama's stimulus plan spared tens of thousands of teachers from losing their jobs, state officials said yesterday amid a nationwide effort to calculate the effect of Washington's $787 billion recovery package. The Federal Transit Administration approved a key step for Honolulu's rail transit system, Sen. Daniel Inouye's office and the city announced on Monday.